Premier Realty is a full service real estate firm that tailors its services to the satisfaction of our clients. As dedicated real estate professionals, we pride our self on the ability to guide home buyers, design strategic marketing campaigns, understand the intrinsic elements of the sales process, and our in-depth knowledge of real estate in our area, making us the premier real estate firm in the Triad. Whether you are buying or selling, Premier Realty will guide you every step of the way. Let the knowledgeable, experienced Premier Realty Team work for you! 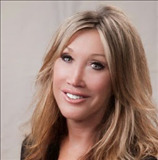 Caroline Clemons has personally cared for and assisted over 500 clients to buy and sell homes. She has a wealth of knowledge and strong experience in all aspects of contract and sales situations. Caroline works hard to ensure her clients are well represented and informed every step of the way. She is an excellent negotiator, an honest adviser and the best interests of her clients' is her first priority.